Ace Cash Advance, or formally known as Ace Cash Express, offers great franchise opportunities to business owners. If you are an entrepreneur wondering “what is a franchise?“, answer your questions prior to beginning this new business venture. Of course, if you are looking for a new franchise to invest in, Ace Cash Advance locations would be a top concern. After deciding that this franchise might be a good fit for you, it is time to pick where you will operate. In this post, we will cover helpful tips to pick successful Ace Cash Advance locations if you want to start a franchise. To date, Ace Cash Advance already has over 229 locations that are owned by more than 110 owners. Surely, taking a look at the current locations and which ones are most successful will give you an idea of where to open your own location. You can consider demographics like population density, income level or market demands. When you really get to know individual markets, you can always uncover hidden opportunity or potential. By doing your research on existing locations, you will have the information you need to choose a great cash advance franchise location. Many people are wary of Ace Cash Express locations because they have heard warnings against so called payday loans. However, Ace Cash Express is much more than payday loans. In addition, these franchises also offer installment loans. That means that your customers will still be able to apply online in minutes and get an instant decision. But in addition, they will also be able to pay the loan back with smaller individual payments over a longer period of time. This will increase customer trust in your business, which is obviously a great opportunity for a new Ace Cash Express franchises. Make sure to ditch you old reservations, because Ace is much more than payday loans. As a growing franchise company, Ace Cash Advance is expanding to new states. Currently, they are located in 23 states. However, they might be willing to expand to a location near you. When considering a new location, you must think about if its worth trying an entirely new state or expanding in one that already has some brand recognition, so you do not have to worry about sales planning as much. Of course, this depends on how much marketing and brand building your are willing to do. If you put in the investment in an entirely new location, the rewards might be much more over the long term. Start up costs for any franchise can be a major investment. You need to determine how much franchise funding you will need to startup a franchise location. Many times, it may require getting small business funding just to start up this cash franchise. However, different franchise locations will have varying start up costs. These costs are usually dependent upon the location lease or rental agreements. As you can imagine, leasing retail space in New York is quite different from a smaller city like Kansas City. Undoubtedly, the costs of the location will help determine the best place to open your own Ace Cash Advance franchise. Additionally, the location of your new franchise will determine the wages you must pay. Like any other business, in order to find great talent, you will have to pay the market rate. When choosing a location for Ace Cash Advance, consider if you can afford to pay the salary requirements of that area. Often times, choosing a successful location not only depends on market demand but also the cost of labor too. If you do not think that you can fit labor costs into your budget, learn how to earn extra money. Then, you can start a new franchise location. Also, the demand of the market will make the largest difference in your cash advance franchise for personal loans. 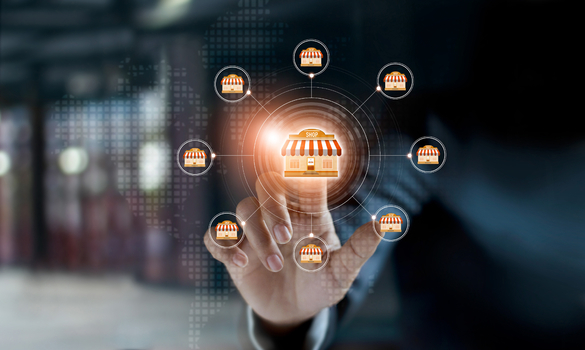 Even if you open a location in a highly populated area, the market could just not have a strong demand for your alternative lending solutions. Instead, use all of the market research you can gather to determine the locations with the best potential. Needless to say, if you pick a location with high demand, the advancing business will run smoothly. To choose the best Ace Cash Advance location to start a franchise, consider accessibility as well. Regardless of how successful other locations are, consumers will not visit your location if your store is not easily accessible. More so, less potential borrowers will gain knowledge about your grand opening if you are not located off of a main road. Job seekers will also not want to work at your location if it is not easy to access. Keep this in mind when choosing an Ace Cash Advance location. Finally, combine all of these tips to find Ace Cash Advance locations that will create a successful business environment. Use existing data, property costs, labor costs, market demand and your own ambitions to determine the best locations for you. Then, once you have the top ones narrowed down, pick one and save the rest for your business expansion plan.